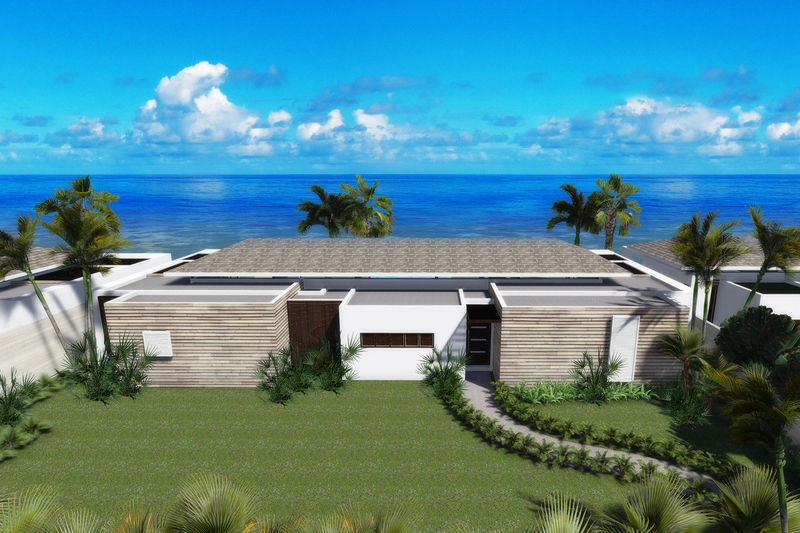 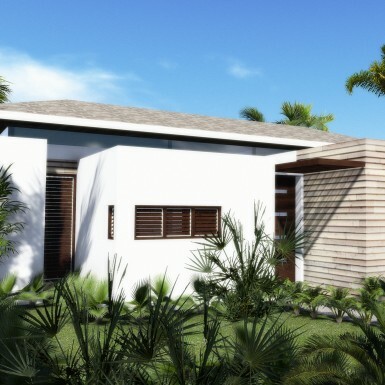 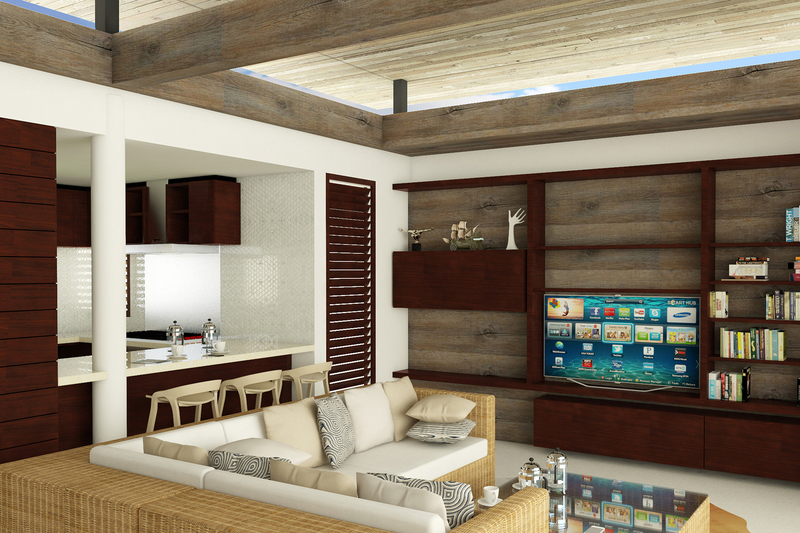 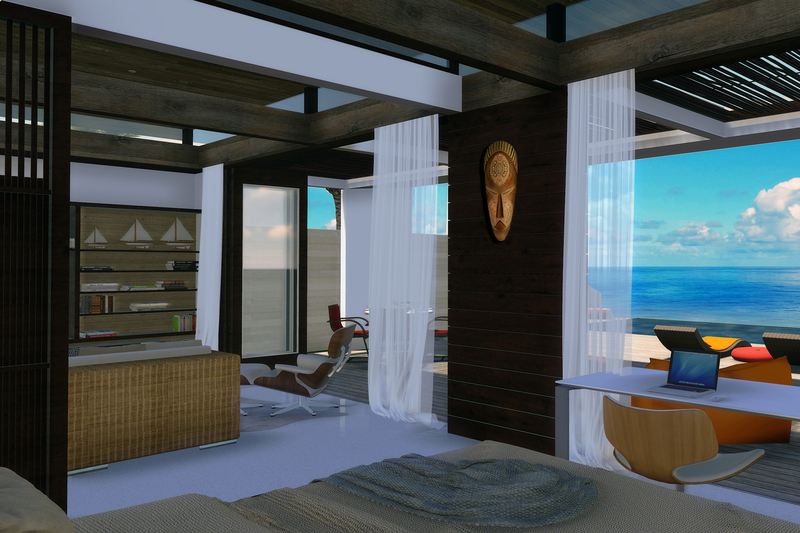 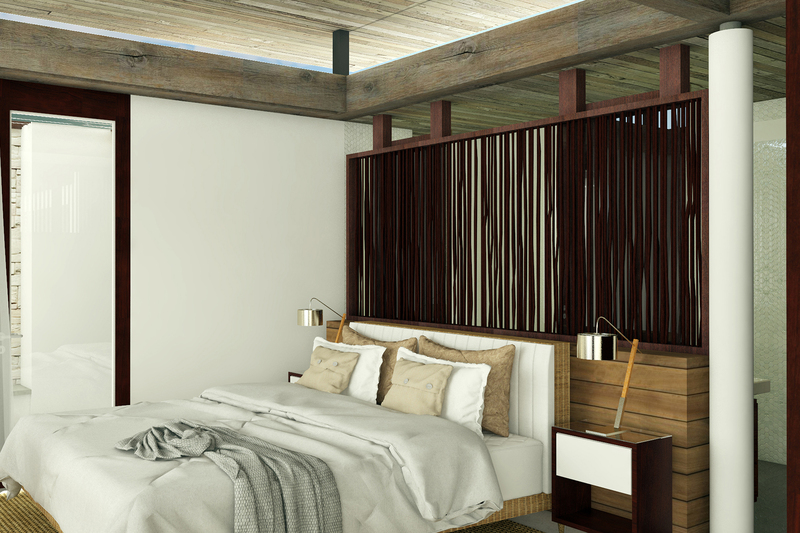 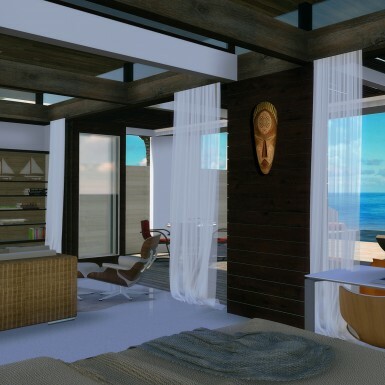 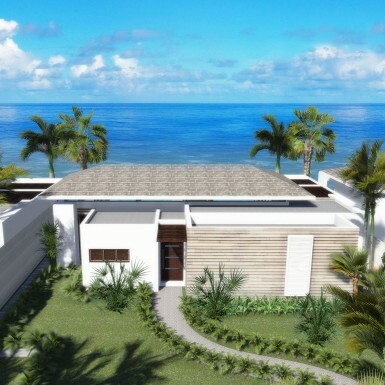 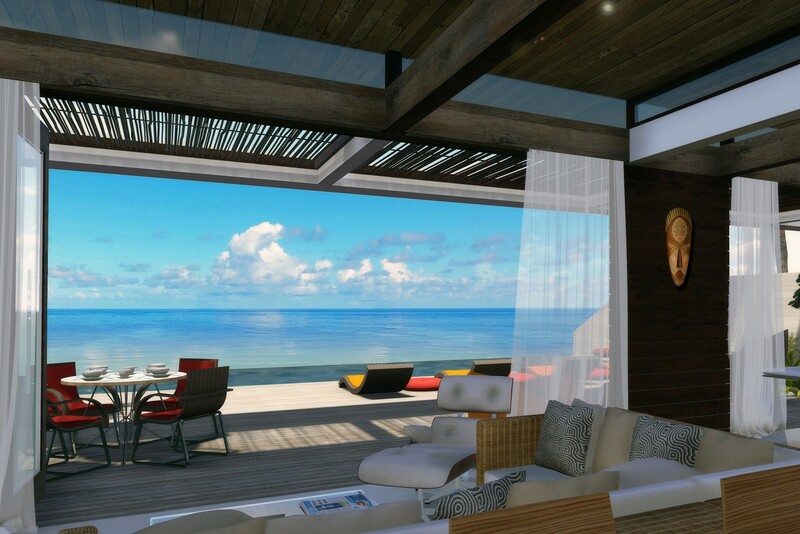 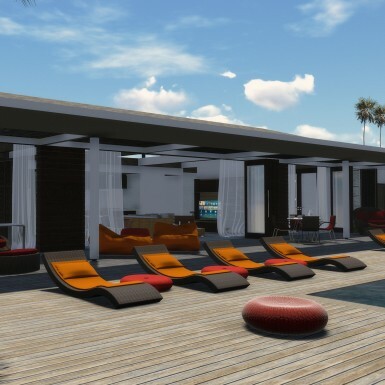 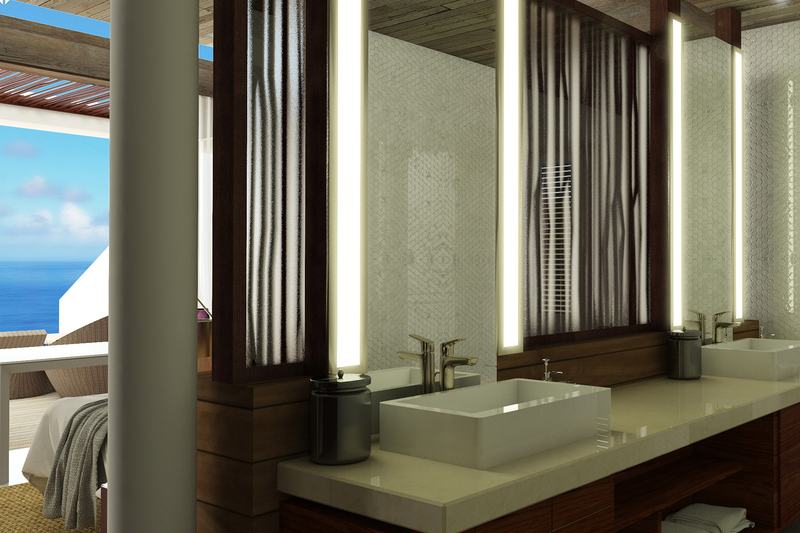 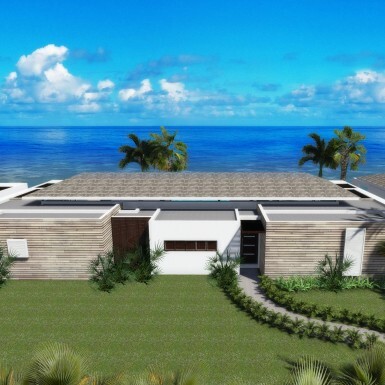 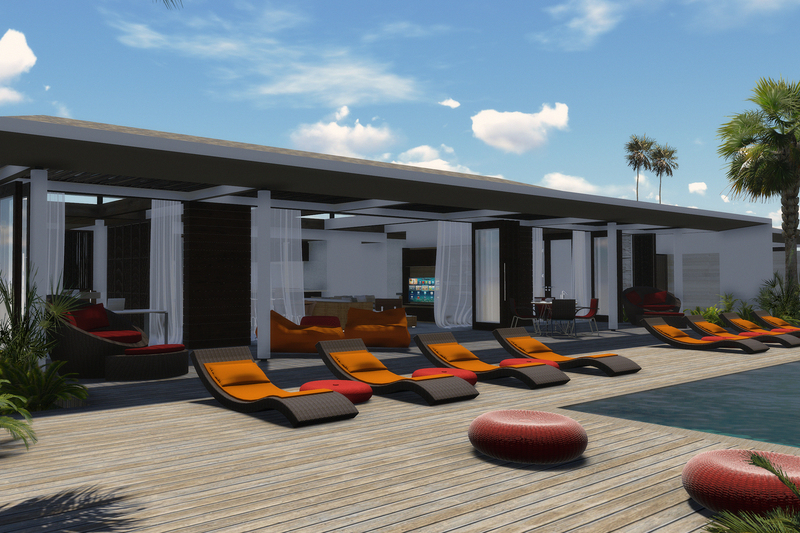 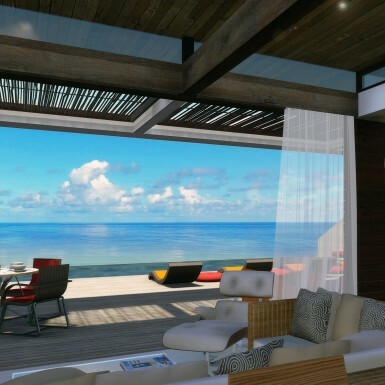 A series of exclusive luxury villas, positioned along the northern edge of a rugged coastal cliff. 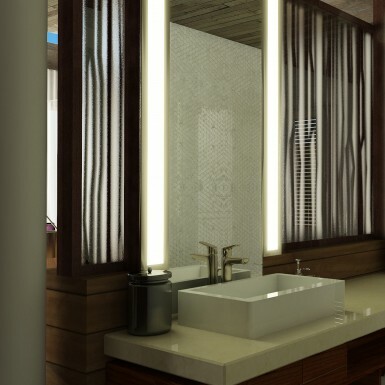 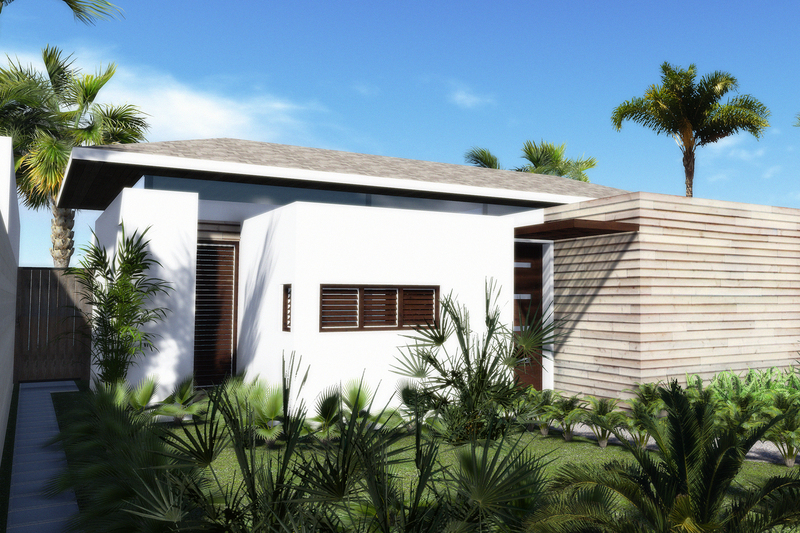 The villas are an exploration of the permeable limits of indoor and outdoor spaces. 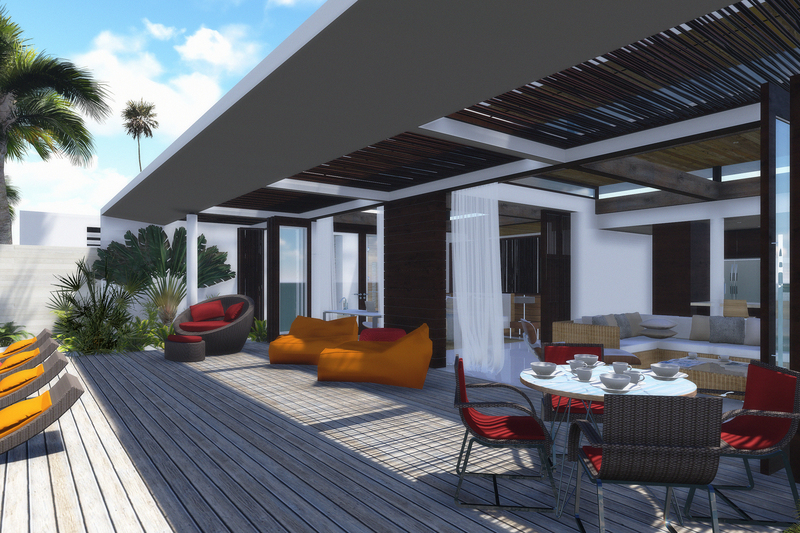 Each villa positions the service spaces to the south, but allows the occupants to visually connect with the northern terrace and beyond to the horizon, by making the living and sleeping spaces open and transparent. 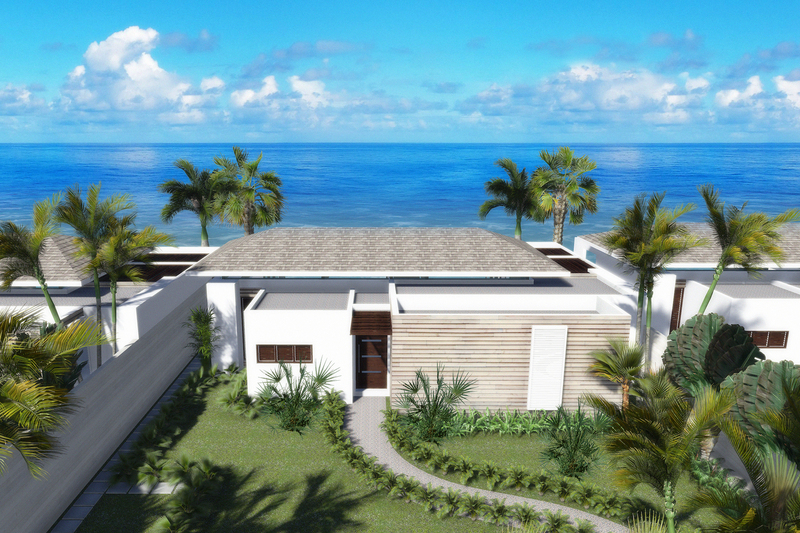 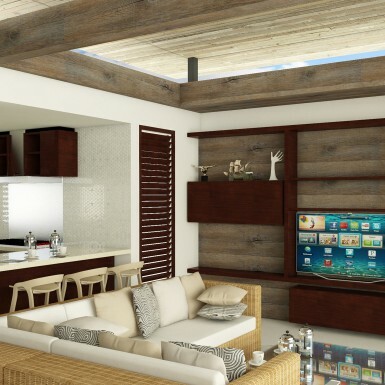 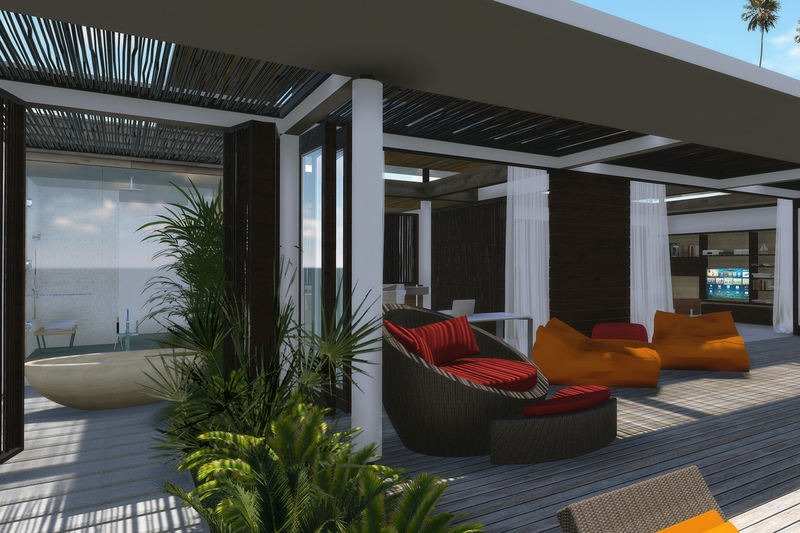 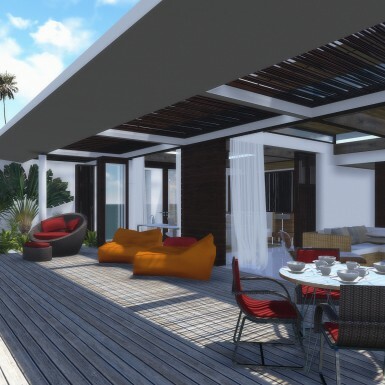 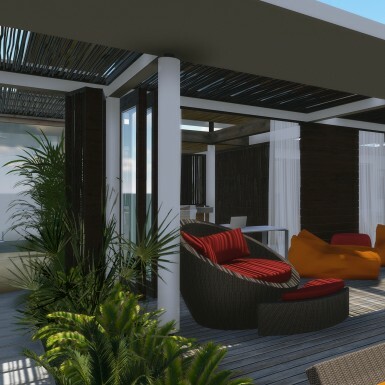 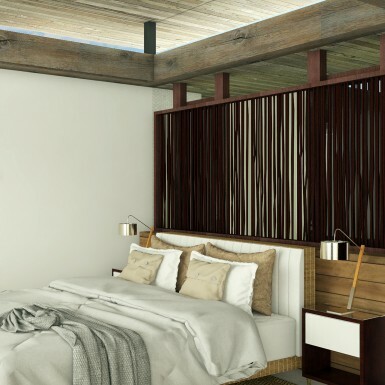 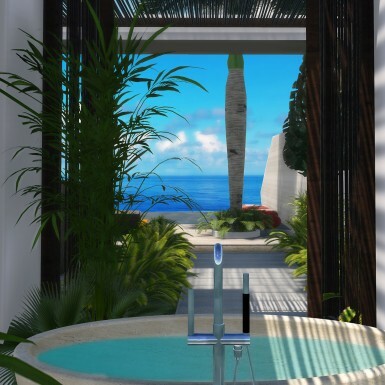 While the roof lines, and materiality of the buildings pay homage to the local Georgian architecture in the immediate context, the minimalism of form is intended to give the user a unique experience of tropical contemporary living.